Hailing from the Greek islands and peninsula comes this lentil soup recipe. Lentil soup is one of those recipes that you can dump almost anything into as long as you have one main ingredient...lentils. It’s 100% vegetarian and even vegan being completely plant-based, as long as you don’t add any cheese. There will be no judgement from this side of the web, that’s for sure. Before you knock this soup because it’s vegan, give it a chance. 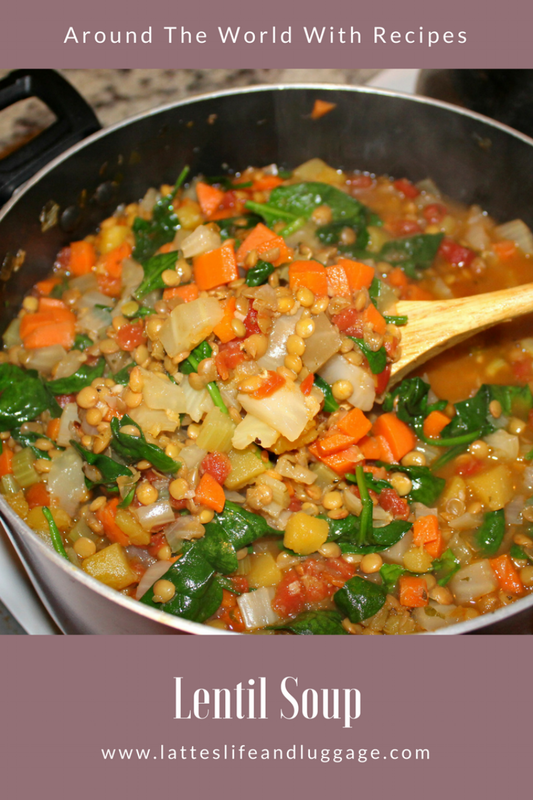 The lentils are hearty and give the soup a meaty consistency plus all the veggies add tons of great flavor. 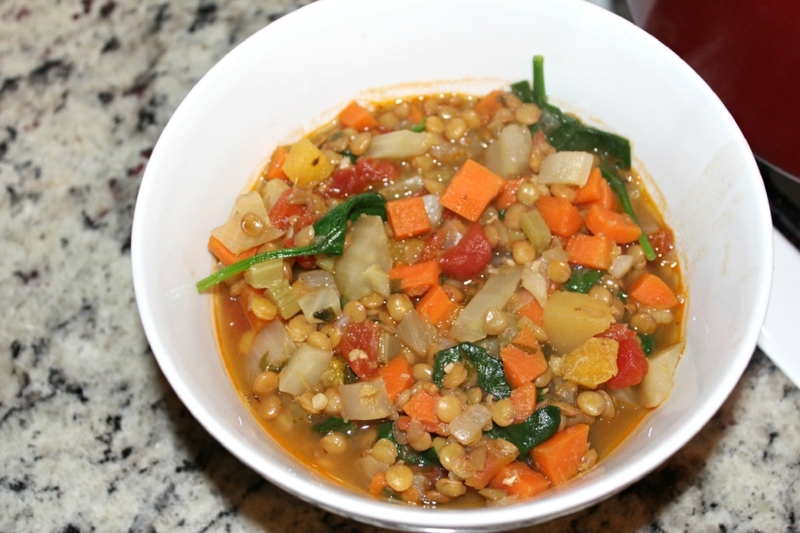 Lentil soup is a great opportunity to empty the vegetable drawer in the fridge. When it gets to the point where there are only two carrots, a few celery stalks, a half of a squash, and a few other odds and ends, plan to whip up a pot of this soup. As long as it fits in the pot and you have a good liquid to solid ratio, there is no wrong answer. I went the traditional route with a bit of a winter twist. Onion, carrots, celery, garlic, and fennel join a small acorn squash, lots of fresh herbs, tomatoes, and a hint of lemon. The lemon zest gives the dish a brightness in lieu of the wintry vegetable mix. A few handfuls of spinach go in at the end for an extra boost of color and veggies. Lentils are a nutrient packed legume. They are known to help with heart health, lowering cholesterol, digestive health, stabilizing blood sugar, increasing energy, weight loss and they’re high in fiber (source: MindyBodyGreen). They add density to any dish making you feel full faster and longer. Vegetable broth keeps this dish vegetarian and vegan but if you only have chicken stock, that will work just as well. Honestly, as long as you have lentils in this dish, it’s considered lentil soup. Super easy, right? Make sure to be careful when you’re cutting up the squash. I did a mean job on my left index finger while I was cutting it up. Let’s just say that I needed a band-aid to cut off my circulation for two whole days. 1 - Heat the oil into a soup pot. Add the onion, carrots, celery and garlic. Saute until softened, about 12-15 minutes. 2 - Add the fennel, squash, herbs and lemon zest. Stir for a minute or so until fragrant. Add the lentils, vegetable broth and tomatoes. 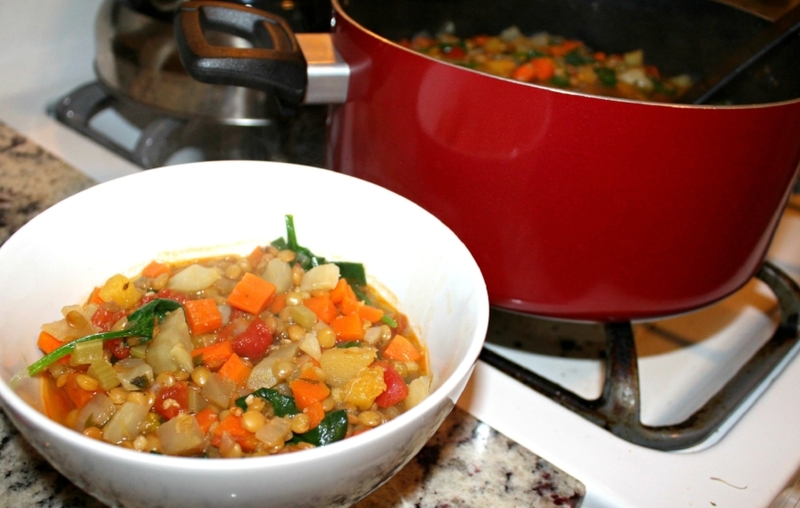 Bring to a boil and let simmer for 25-30 minutes until the lentils are tender and the veggies are cooked. 3 - Add the spinach and cook a minute or so until wilted. Serve.